There are many reasons to put of an international removal. You may need to wait for the job offer to be finalized, or to sign a lease for a new home or flat. You might need to put the move off until the kids finish the school year or you are able to sell your car or current home. So while there are many reasons to put off your Oeiras move, the cost of the removal shouldn’t be one of them. International removals are inherently more costly than moving down the street, simply because the transport time is longer and more ground (or sea or air) must be covered. But packing for a local move is not much different from packing for an international move, which is important to remember when researching London to Oeiras removal companies. We don’t rack up the price just because you are going further – we keep our costs affordable and fair, so no matter how many items of furniture you have or how many moving boxes, we can handle the job without hurting your wallet. Moving Service is the leader when it comes to London removalists specialising in international relocations. We have the expertise to get the job done right and the quality services you need so you won’t have to shop around. Call 020 8746 4402 today to get a free quote and the answer to all your Oeiras moving worries. This southwestern Portugal municipality, to the west of the country’s capital, is part of Greater Lisbon and within its Metropolitan Area. The municipality has a population of just over 150,000 people and the town of Oeiras is one of Portugal’s largest. This part of the country has always been an attractive settlement because of its location near where the Tagus River meets the Atlantic Ocean and for its fertile agricultural lands. Settlement here may date back to as early as the Peleolithic era and there are also Roman ruins remaining. The town itself was founded at the beginning of the 13th century by tribes of Christians from the country’s north. One interesting place to visit is a repurposed factory that once produced arms and gunpowder that is now put to use for cultural and leisure pursuits. Poets Park is a pleasant place to stroll or relax and ponder famous Portuguese writers and poets, as are the gardens at the Royal Estate of Caxias. 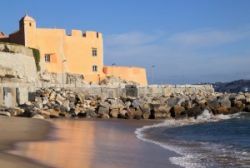 Of course, if you are moving to Oeiras you will certainly spend some time promenading along the Maritime Walk between Torre beach and Alges. You may find your new home in Paco de Arcos, where multinational companies such as HP, GE and Intel are located. 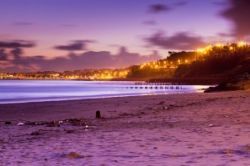 If so, you’ll certainly enjoy the pristine local beach, the Mediterranean style homes and buildings and the green hills rising from the waters. If you’re still concerned about what you will need to shell out for packaging supplies, moving vehicles and movers, why not start planning ahead with our home removal assessment service? You’ll get a better picture of what your individual removal needs are, so you can start budgeting and preparing in advance. There’s nothing like being prepared when it comes to such a momentous change. Prepare yourself the best way possible by getting a free estimate over the phone right away when you ring Moving Service on 020 8746 4402. Or try our handy online tips and quote generator to get started. You’ll be glad you did, and so will your bank account!